Effect: Two nails are apparently pushed through a Number 260 animal balloon. The nails are removed. The balloon is removed. 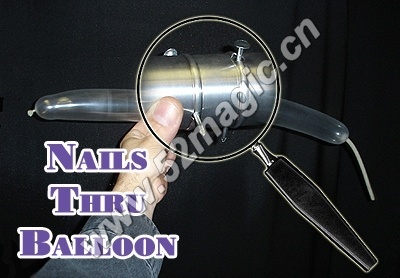 And the tube, balloon and nails are handed out for examination. 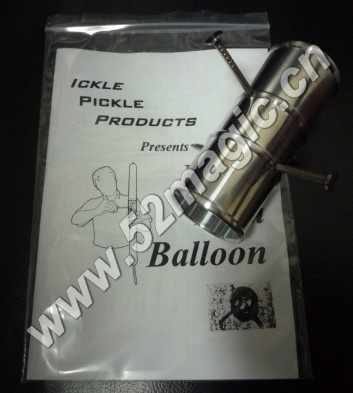 This uses a different method from that of the Spikes thru Balloon and the Wand thru Balloon. 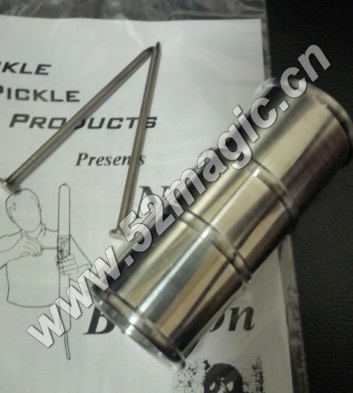 Everything may be closely examined both before and after the effect.